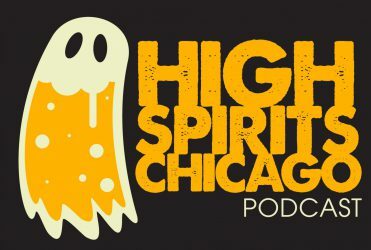 High Spirits Chicago PODCAST – Podcast. Ghosts. Booze. High Spirits Chicago is a PODCAST dedicated to talking about all things GHOST. We also drink quite a bit. Hosted by CHICAGO’S VERY OWN Noelle Schmitt and Jay Steigmann. Listen to High Spirits Chicago PODCAST on Soundcloud and iTunes. Follow High Spirits Chicago PODCAST on Facebook and Twitter. I like to have a martini. Two at the very most. After three I’m under the table, after four I’m under my host. Only stupid people believe in ghosts. Also: I believe in ghosts.